As you might have noticed in my blogs, forests are pretty much my ultimate happy place. Stepping into these magical gateways, there is an instant rush of tranquility and euphoria. The breeze in the branches, the quiet creaking of trees as they move with each other, and the quiet: the loudest sounds coming from a multitude of song birds as they travel overhead. Yes, I could live in this place for the rest of my life. 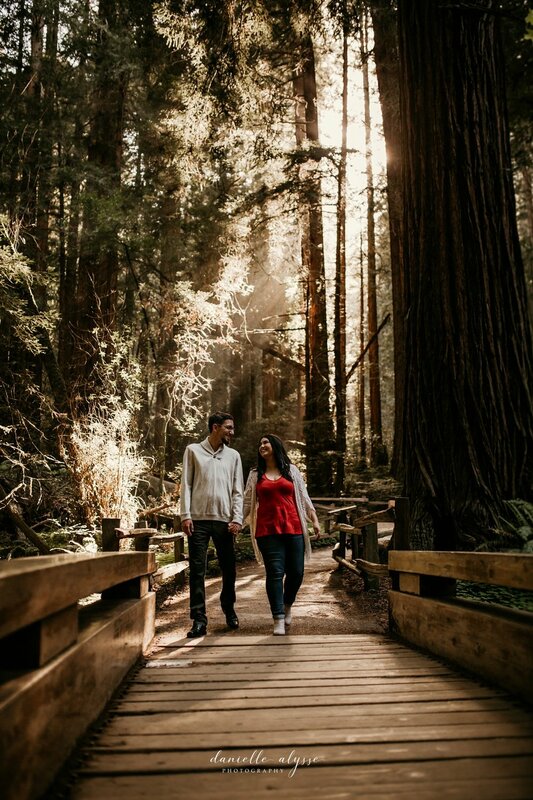 Originally, my bride wanted to have her engagement session take place locally, but when she saw images from another session I photographed in Muir Woods, she knew that this would be the perfect location. Being Star Wars fans, it was another bonus for them, as one of the Star Wars movies was filmed here (I could totally see one of the little Ewoks pop their head out at any moment behind one of the many trees). Bianca and Dylan got to enjoy the full splendor of the enormous park for the first time and loved every moment of it (you bet I did too). 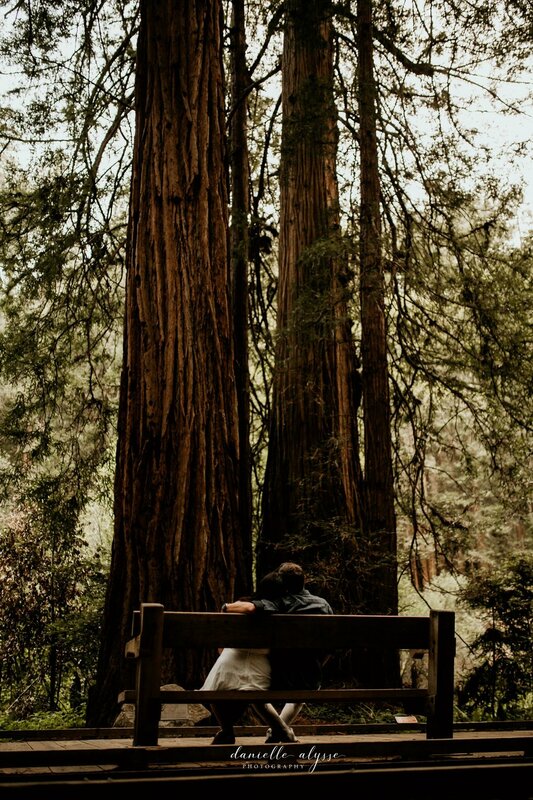 Surrounded by redwoods as grand as these and a beautiful couple, it truly starts to feel like a dream. 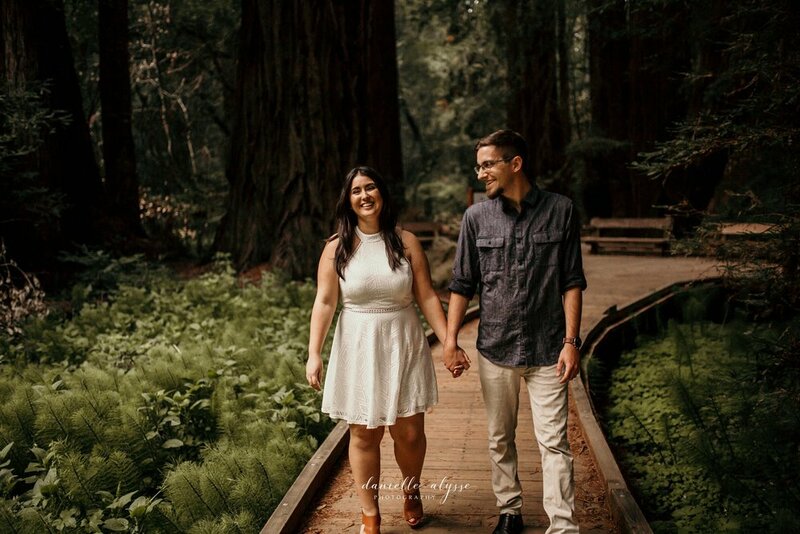 This awesome couple was so much fun to hike and laugh with up and down the trails. 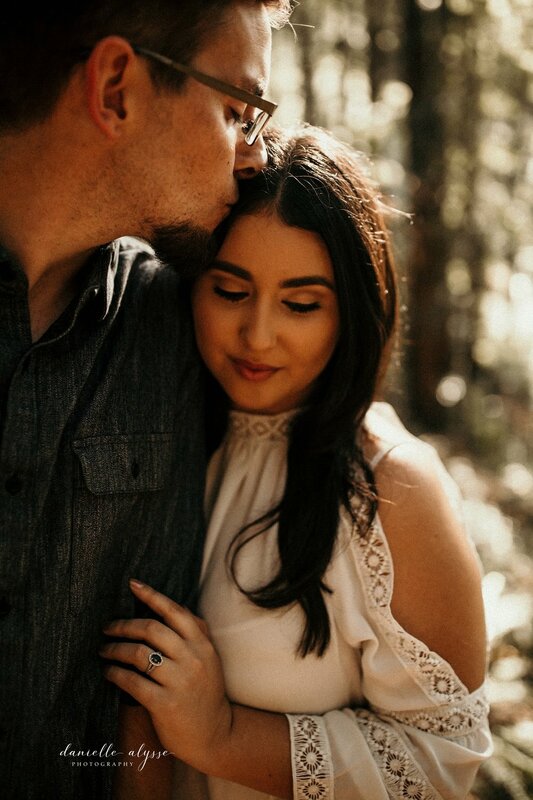 It was the perfect day for some romance in the woods. 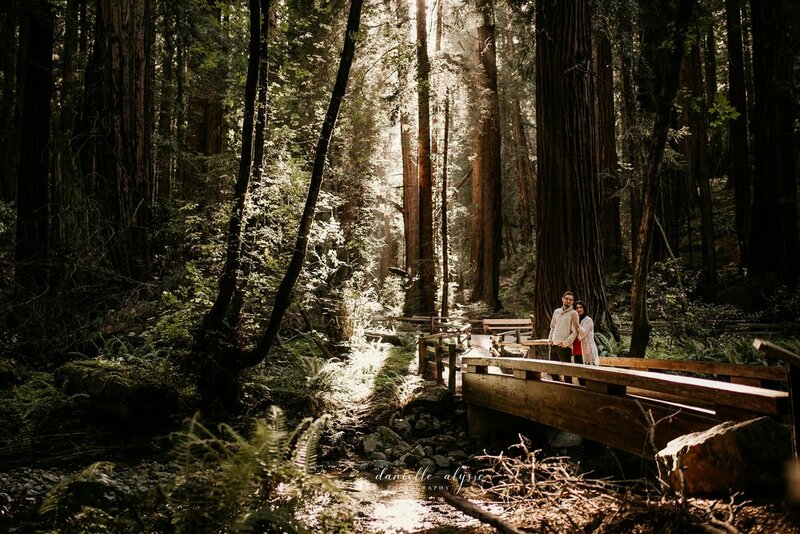 Imagine an elopement taking place here - um, yes please.